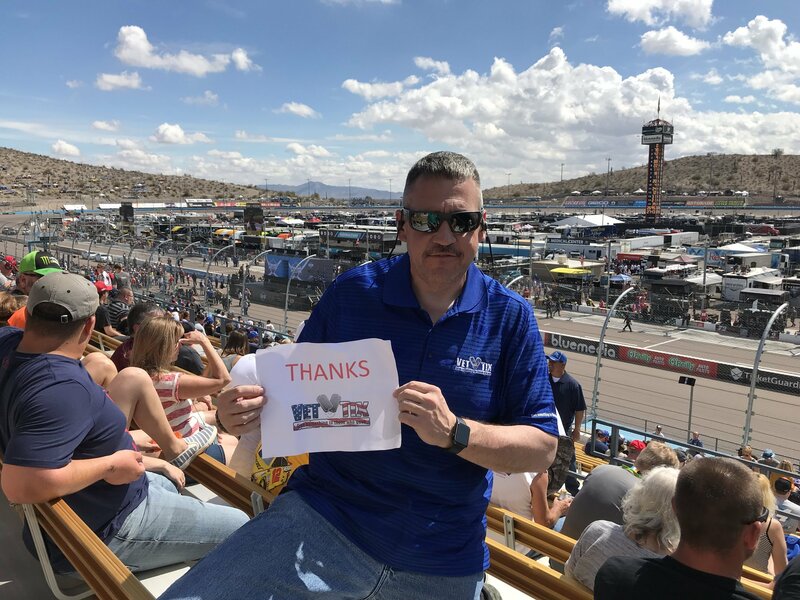 Thank you for the tickets to the 2018 TicketGuardian 500 - Monster Energy NASCAR Cup Series . It was the most awesome, exhilarating event we ever been to. 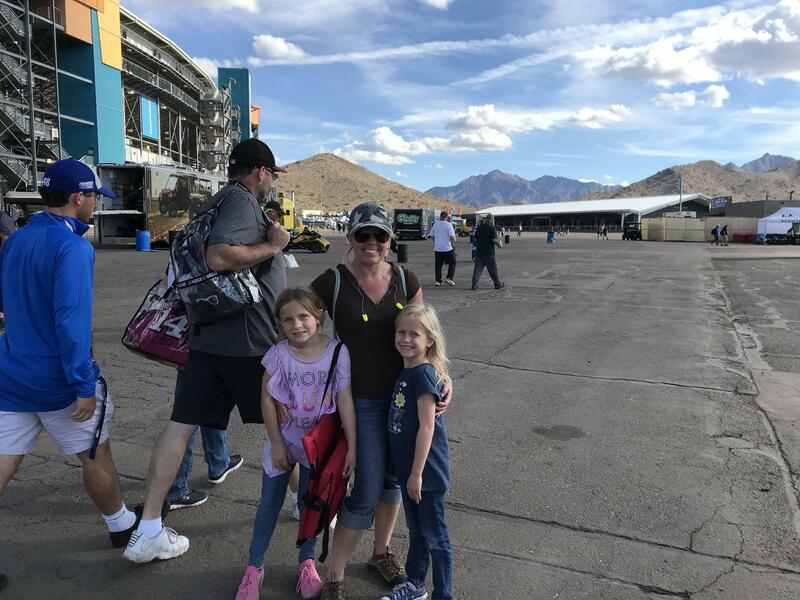 The seats at the races were the best and we enjoyed the race experience as it was our first time to Phoenix International Raceway. Thank you again and send our best wishes for the best time at an event. Thank you for the tickets! I was able to take my girlfriend for the first time in her life. Thank you Vet Tix for the wonderful experience. My family and I enjoyed the event. 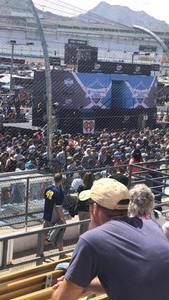 Thank you for the chance to go check out the NASCAR race on Sunday. 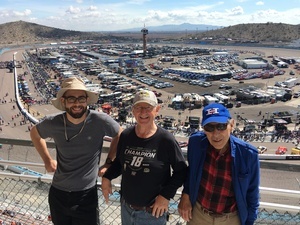 It was great to go, and be able to take my grandson to his first race. 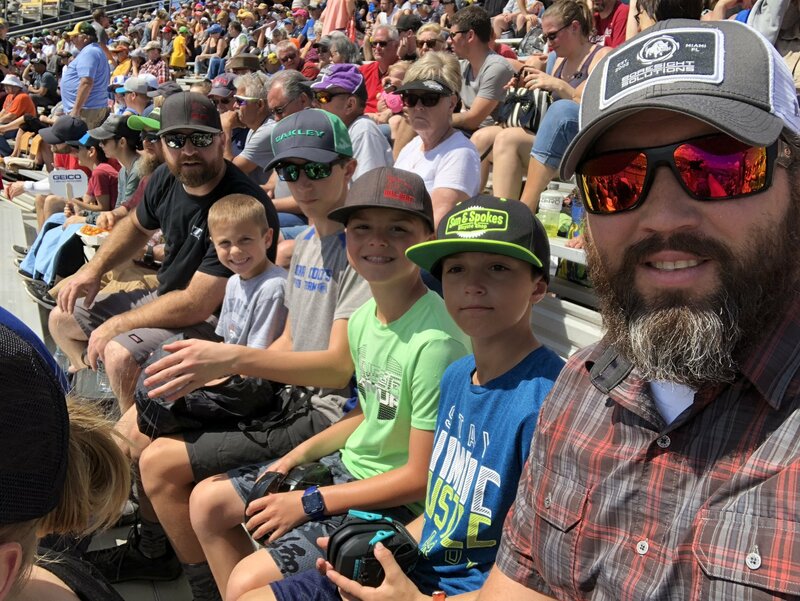 The sun was shining and the race had a lot of action. Thank You once again. I would like to say thank you to ISM raceway and vet-tixs for a n awesome time at the races with friends, family and other vets. 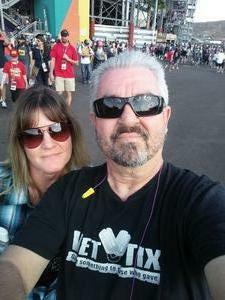 Thanks Phoenix International Raceway!!! 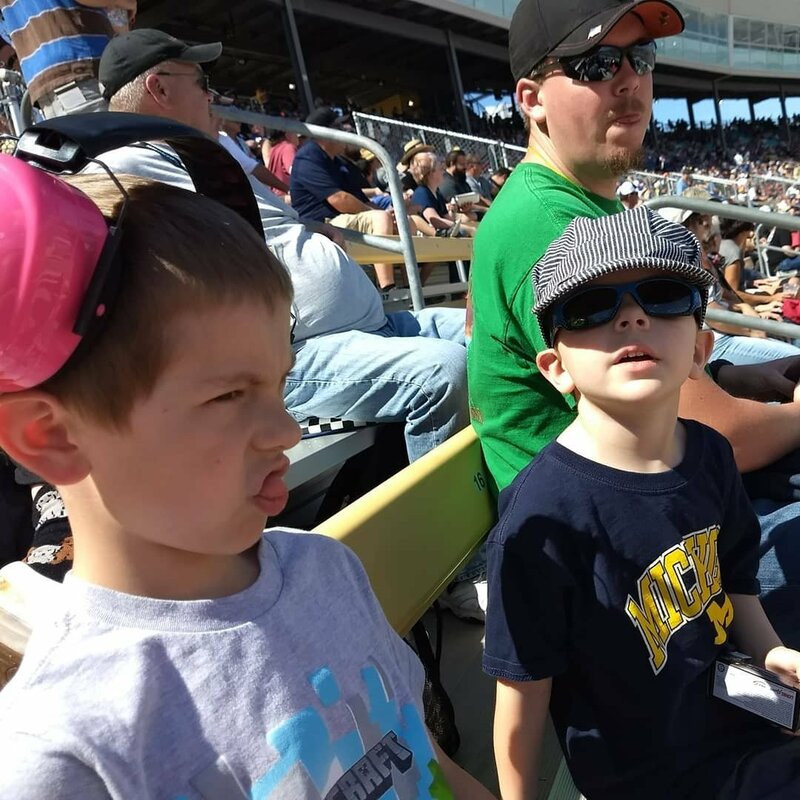 My kids had a great time at the races and look forward to coming back to your awesome venue in the fall. 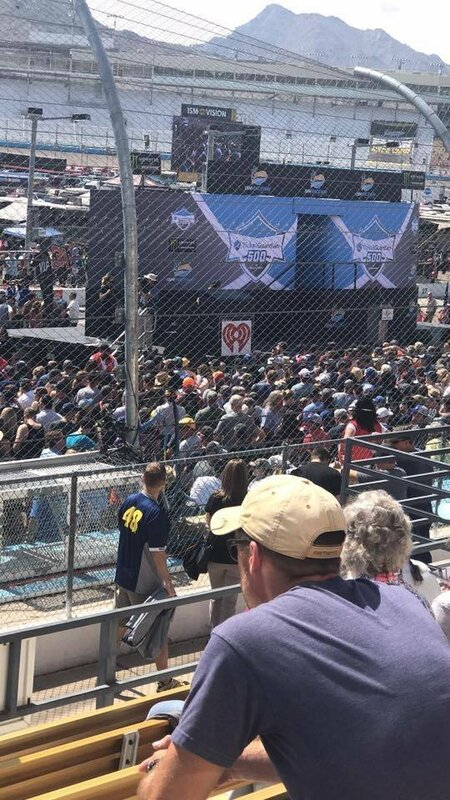 Seats were in a perfect spot and everyone had a great time. Thanks for supporting our Military! 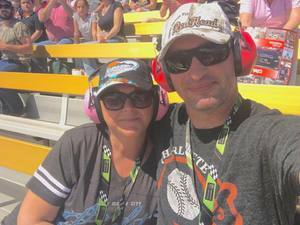 This was our very first NASCAR experience. The kids loved it! They loved it when the cars would go by in a large group and shake the stands. We had a great time. Thank you so much! Thank you Vet Tix, for the amazing tickets! 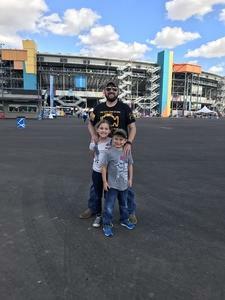 Met up with some friends and tailgated...first time ever at a race of this magnitude. A friend got sick at the event, but everything else was fantastic! Thanks again! Thanks again for the Great seats for the NASCAR Race we were able to have a great time. 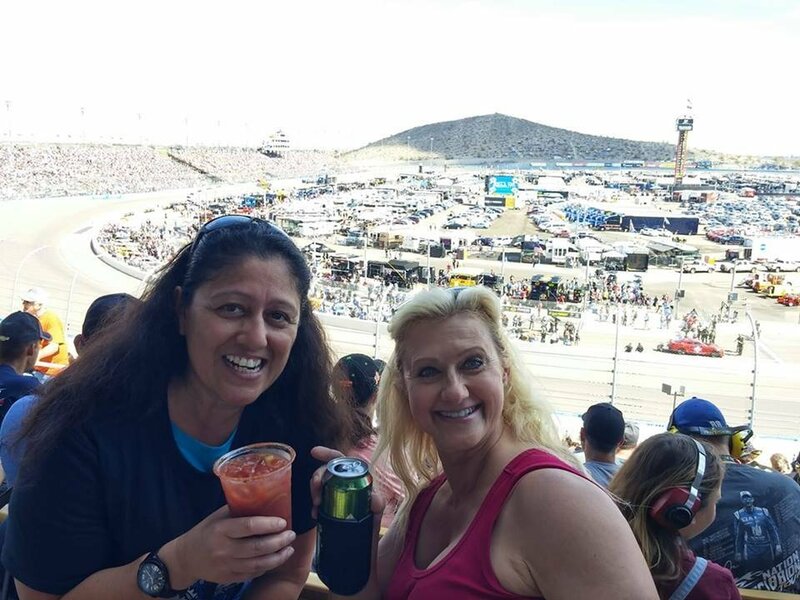 We had such a good time at the race! It was my first time out there and I was able to share that experience with my friends and co-workers who are Active Duty as well. Thank you so much for that awesome Sunday! Thank you so much to Phoenix International Raceway for the tickets. My kids and I had never been to a NASCAR race before and we had so much fun. Can’t wait to go again! This was a first for us and it was awesome thank you so much!!!! 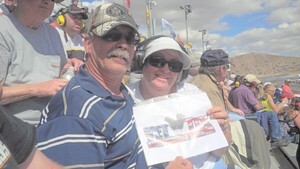 Thanks for the donation of the tickets, we sat with many other Veterans and enjoyed a great time at a great raceway. 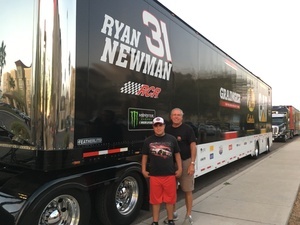 We are planning to be there again for the fall race. 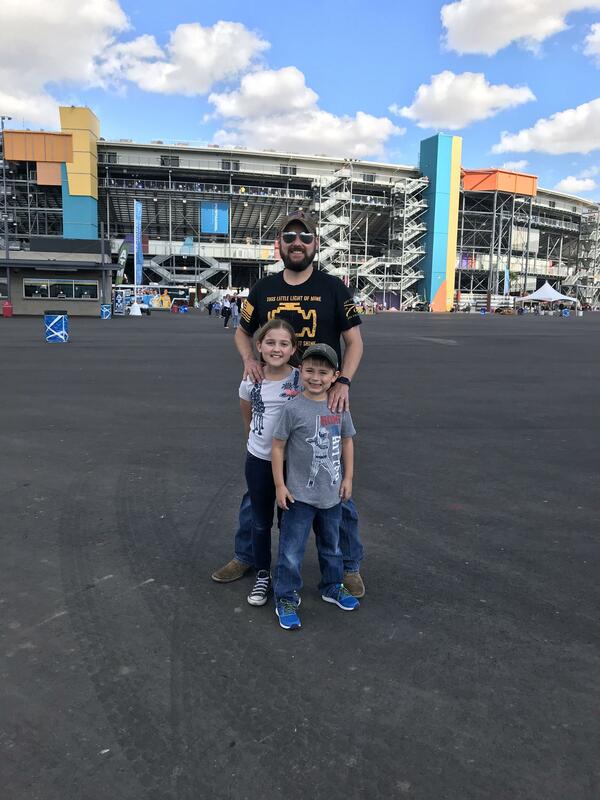 This was my first time to a Nascar race. I was surprised by all the activities before the show. The race was exciting. I had such a great time! I will definitely come to this event again. Well done! 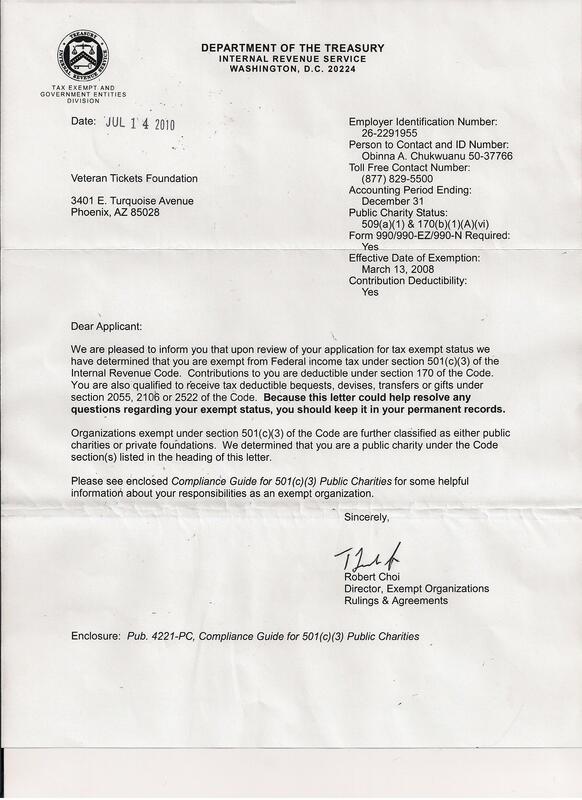 Thank you very much for donating the tickets so I would have an opportunity to experience this event. 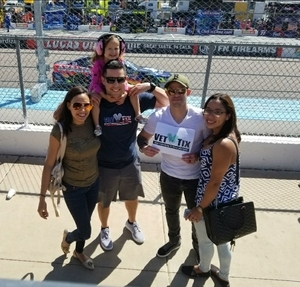 NASCAR was a fun event, thank you to PIR for donating tickets! Whst a fantastic day to be at the racetrack! 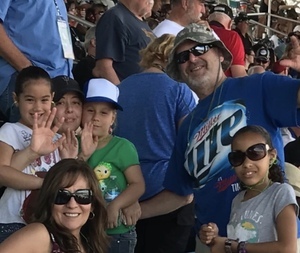 My first time ever at ISM Racetrack and I loved it! 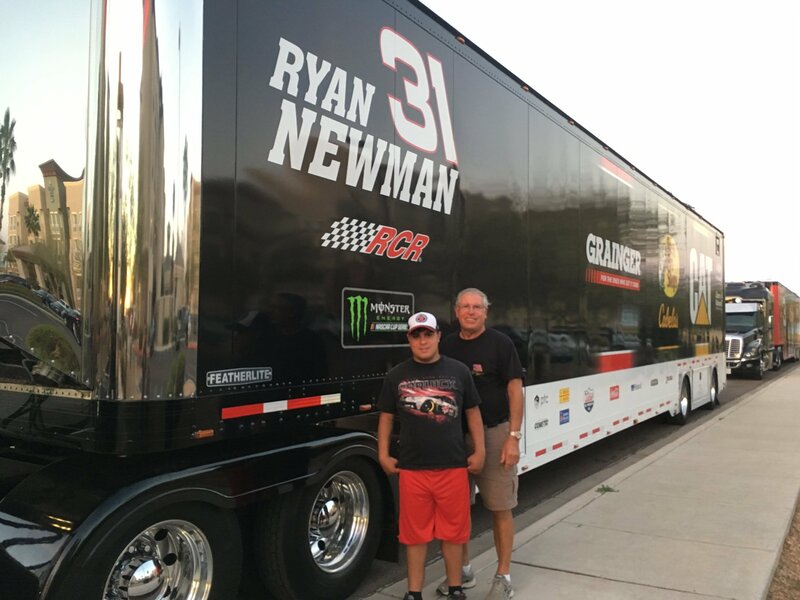 Thank you, ISM Racing and Vet Tix for making it all possible! 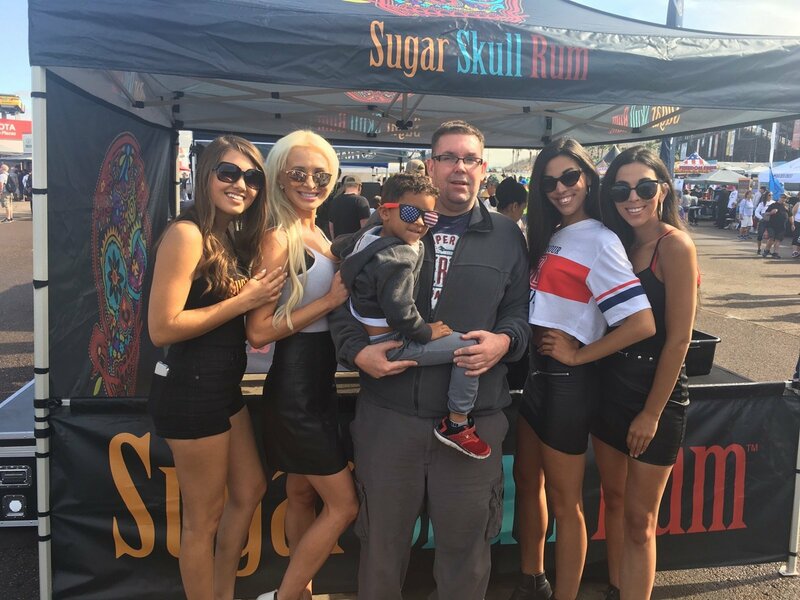 Without your generous support I would not have been able to attend this thrilling event along with my two handicapped friends! The day started with rain. 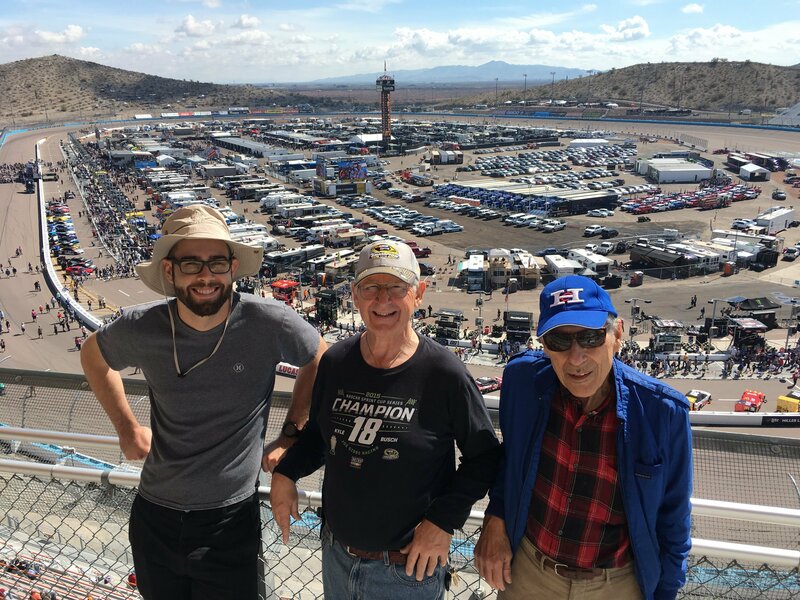 but ended with perfect weather to watch the race! 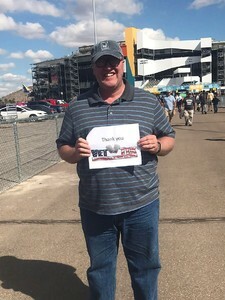 Free tickets in honor of my 6 years in the military made this vet smile! God bless all who served and are currently serving...and God bless the USA!! 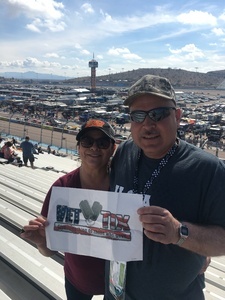 Thank you VetTix and ISM Raceway (Phoenix International Raceway) for our tickets. We had a great time and loved sitting right across from pit road. We got to sit next to other VetTix Marines and had a great time connecting with other Veterans. 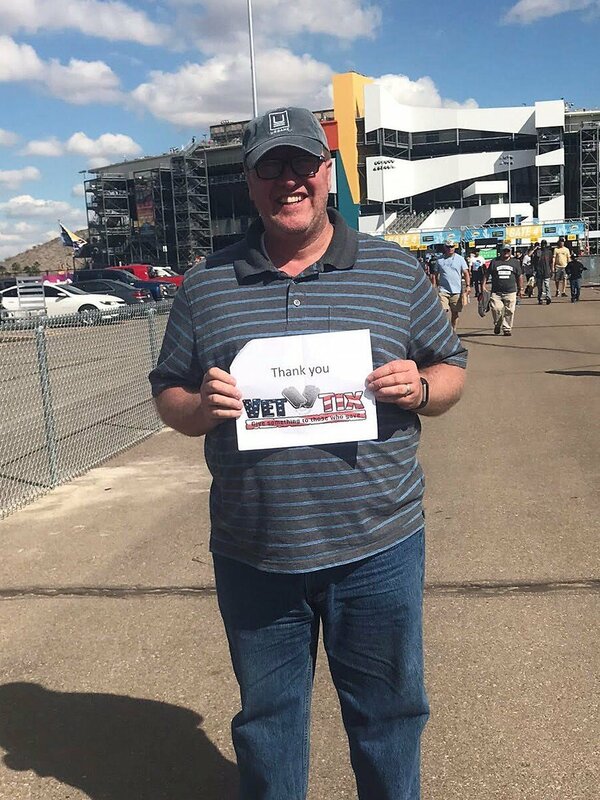 Thanks for your generous donation of the NASCAR ticket. The race was awesome and the weather was great. 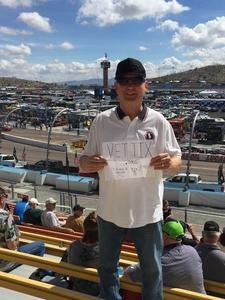 Due to your donation I was able to take my veteran friend to his first race. Thanks again!! 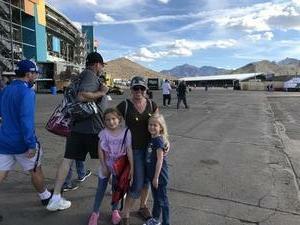 My family and I have enjoyed our Sunday and the Ticket Guardian 500. 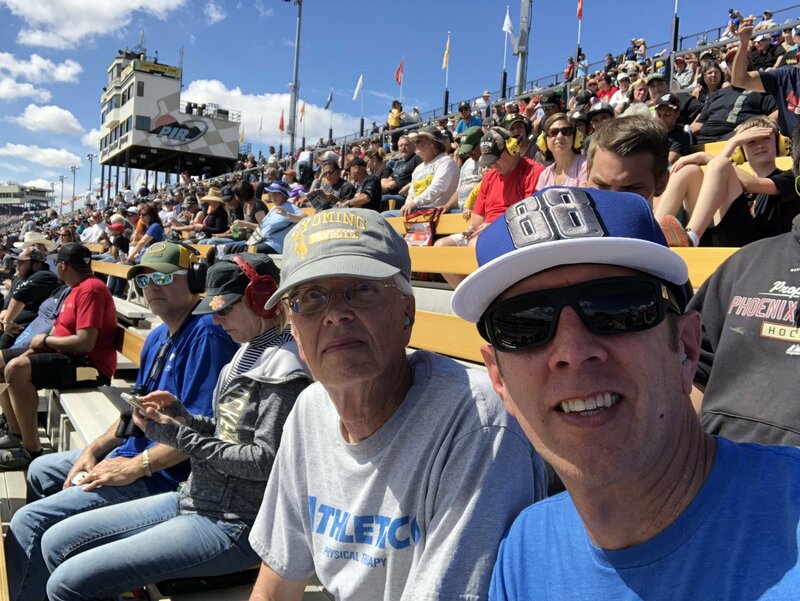 We had a fabulous time and enjoyed every minute of the race. Hot Sunday and little clouds in the air. We love all the adventures that Vettix has allowed us to enjoy. We had a great time. The staff was outstanding. Manager Beth Bishop took great care of us.Thank You Vetix. Thanks vettix for everything you do.And to all the donors that make it possible for us veterans to attend. Thank you so much for allowing my family and I to share in an amazing experience at the NASCAR event in Phoenix. We had such an amazing time and made some terrific memories. 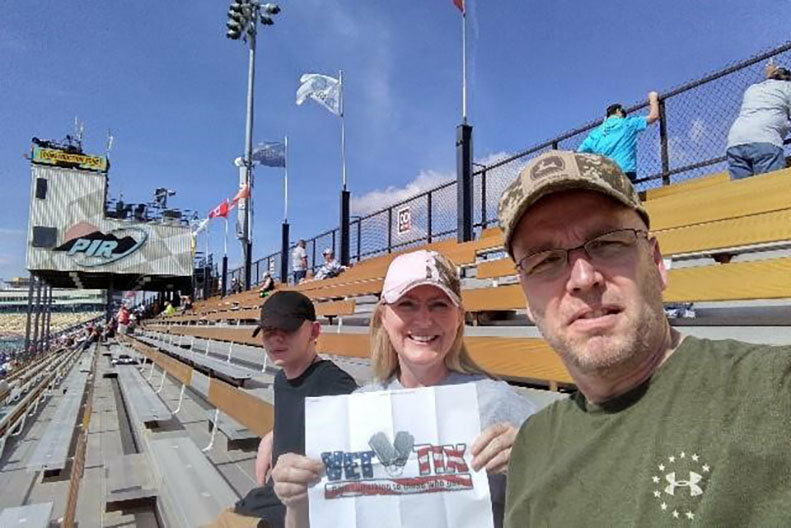 This is an activity we try to partake in every year and vettix allowed that to happen again this year. My family had a wonderful day! 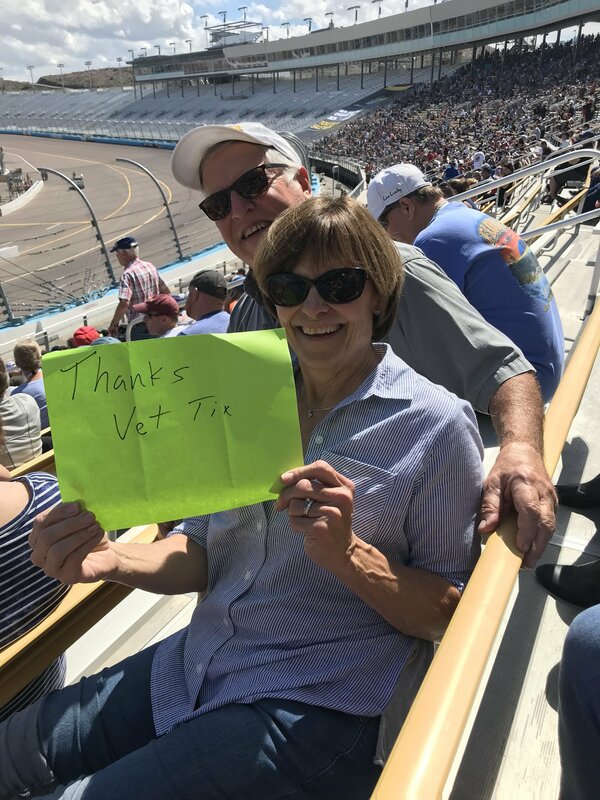 Thanks Vet Tix and your donors!